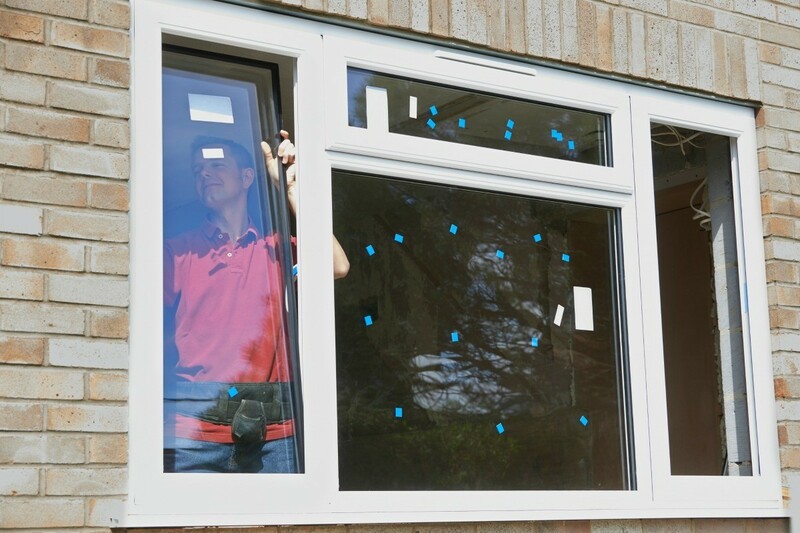 Removing the labels from new windows can be surprisingly difficult. This is a guide about removing labels from new windows. I just got new windows installed in my house. They have left plastic stickers and small plastic bags glued to the windows. I have tried the antibacterial lotion but it didn't work. This is really strong adhesive. Please help. My beautiful windows look horrible with these plastic bags glued to them. We had the same thing with our new windows. We pealed off as much of the sticker as we could and then drenched what was left with WD-40, let it sit for a while and then use the side of a credit card to scrape the residue off. Repeat if necessary. Then wipe off as much of the WD-40 as you can with a paper towel and wash the window as usual. Works great. I tried a few of the above last night to no avail, then I rang the window manufacturers (in this case Velux) and they said hot soapy water! I nearly laughed at them, but guess what? It worked! It was like the heat or soap changed the consistency of the glue from hard and unmovable to stretchy and with very little effort was removed. We recently bought a house and the outside windows have the installation manufacturer's paper labels still glued to the glass. I found out from the neighbor that these labels have been on the windows for a least a year. I've tried Windex and Vaseline (what a mess) and they're not budging. I don't want to use a razor blade. What will remove the labels? Rubbing alcohol or lighter fluid work great. How can I remove a label from new window? Oil. Vegetable oil. Spray or sponge some on. Let it set. Any spots that do not look wet need more oil. Dab some more on these spots. Let set till all of it looks wet. Rub with paper towels till it all comes off. Stubborn spots? Put more oil and wait about 10 min. Rub again. It will come off. Then just wash the window as usual to remove the oil. I peel off as much as I can by hand, and then whatever is left I give it a big shot of laundry spray, like spray and wash. Let I soak in for 15 minutes or so, and the rest of the sticker will come out! What can I use to clean off glue from a sticker on a tinted window? i have good luck with Goo Gone, bought at supermarkets, target, walmart, etc. I've also used cooking oil with good success.